Penne, and garden burgers, and corn. Oh my! I’ve finally reached a point in my life when it annoys me that I have to put in a frozen pizza for dinner rather than take the time to make something. Unfortunately this week I haven’t had much time to eat, so the meals I’ve made have been pretty simple. 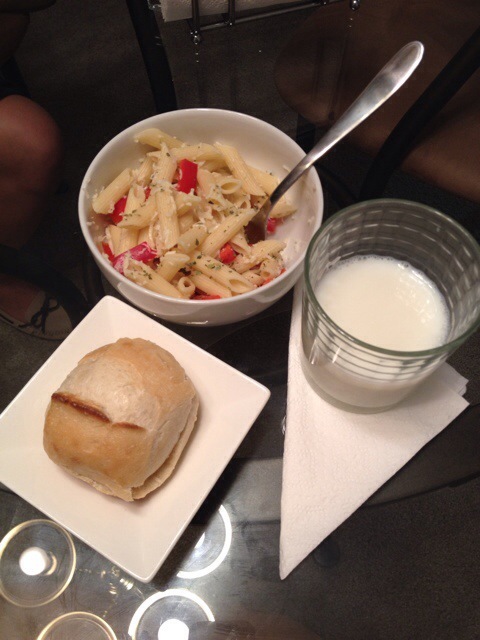 Left: Penne with red pepper and a shredded italian cheese blend, topped with oregano. I was a little skeptical when I decided to put red pepper in my pasta but it was actually really scrumptious. Pair it with a dinner roll and you have a fabulous meal. Middle: Root beer float! Since it’s summer, this is one drink I can’t pass up. 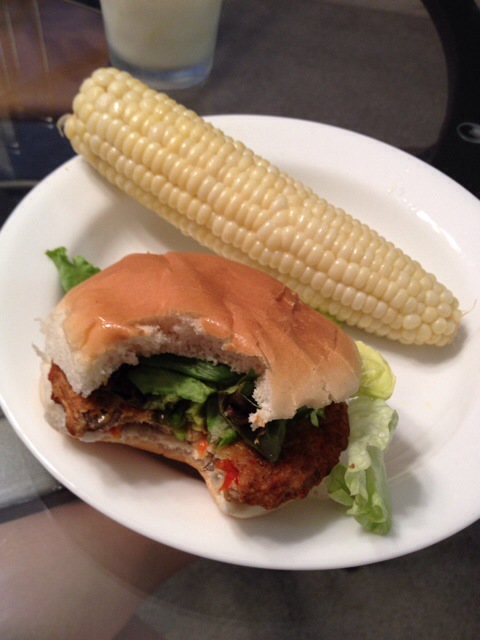 Right: Garden veggie burger and corn (another post about corn coming soon!) For those who don’t want meat or want a lighter burger, I would definitely recommend a garden veggie burden since it’s super easy to heat in the oven.